Skin pigmentation disorders affect your skin’s coloring. Skin cells make melanin, which gives skin its color. But when these cells are damaged or altered, they don’t function properly. Excessive skin pigmentation, also called hyperpigmentation, can be can from a number of causes including exposure to ultraviolet rays, hormones, skin trauma like scarring, and congenial which are skin disorders with which babies are born. 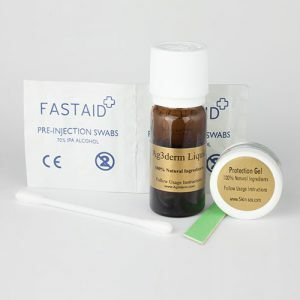 There are several available treatment methods for pigmentation, but they vary according to the affected area, cause of hyper-pigmentation and the patients risk tolerance. The first means of treatment for pigmentation is by applying sunscreen daily. This should be done daily even in cloudy days to prevent one from UV exposure, it’s also important to avoid direct sunlight, especially during the middle of the day, seek shade and if possible and wear a hat and protective clothing. Topical lightening agents help to reduce pigmentation by inhibiting enzyme that produce melanin (skin pigment) and by increasing the turnover of the skin to flush out the build up of pigment. Common lightening agents include; hydroquinone, kojic acid, paper mulberry barks extract, retinoid and glycolic acid. Laser treatment is a non-surgical cosmetic solution for correcting dark patches on the skin. Laser treatment is a viable treatment for restoring a more youthful appearance. It involves the use of high energy laser beams projected onto the skin by either a handheld or overhead device. Procedures are performed or supervised by dermatologists and plastics surgeons on an outpatient basis, and generally do not involve any downtime. The type of laser treatment for pigmentation is based on the skin condition, and should be recommended by the doctor. One type of laser for treating pigmentation are pulse width lasers. These lasers emit a pulse of light that are attracted to the melanin in the pigment, and selectively disrupts the pigment by thermal healing it. Other types of laser are q-switched lasers. These lasers emit nanosecond pulses of light that are attracted to the melanin pigment in the skin. For whatever method of treatment for pigmentation used, it all boils down to type, cause and extent of the damage and more so how much money you are willing to spend as each method has its price tag.